HTML Health Care Template - Responsive bootstrap website template! 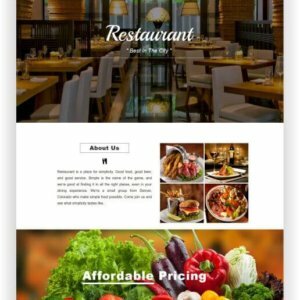 A premium Bootstrap template comes with the great support, documentation and premium features and functionality. 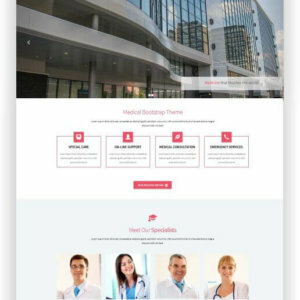 If you browse Healthcare medical hospital responsive templates, you will find that most of the relevant sections for a healthcare medical website templates are already there – Full-width slider, about the text, appointment form, services, doctor’s list, excellent FAQ section, working contact form, blog and much more. 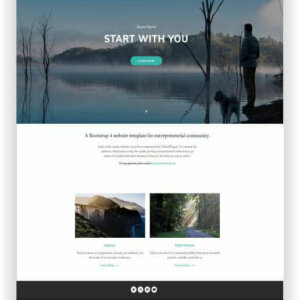 You can just download the template and change the text and images and make your healthcare medical website. 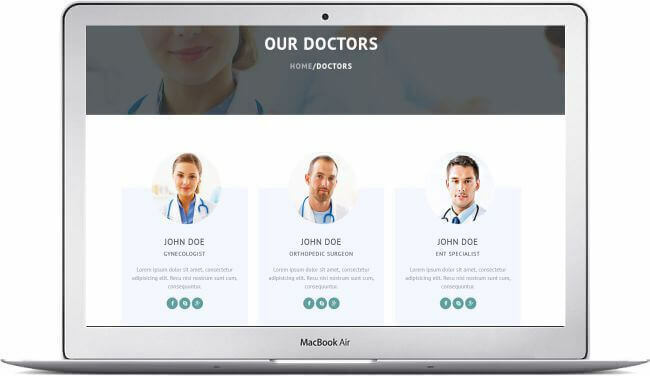 Healthcare medical hospital responsive templates are designed with Bootstrap 3; this is the latest stable edition of the world’s popular CSS framework called Bootstrap. Google emphasizes a lot to design responsive websites, and they show it in the search results which websites are mobile friendly. You can test this healthcare medical hospital responsive templates in Google Mobile-Friendly test!. You see the healthcare medical hospital responsive templates is 100% responsive which is verified by Google. 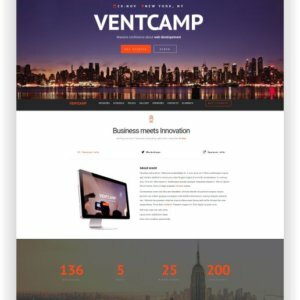 Best healthcare medical hospital website templates ever! 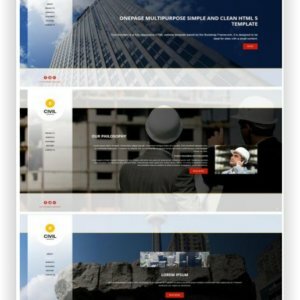 There are lots of medical hospitals website templates out there, but I can guarantee you that Healthcare is the best medical hospital responsive templates among them. You will find most of the required sections present in the template. With a very few modification and customization, you can publish your website. 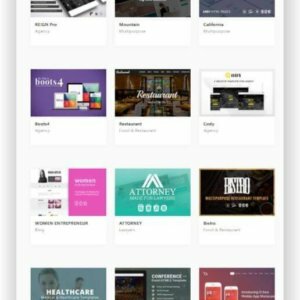 You can find high-quality premium templates here is Themewagon and Healthcare is one of the best one. So download Healthcare and start your hospital or clinic websites. 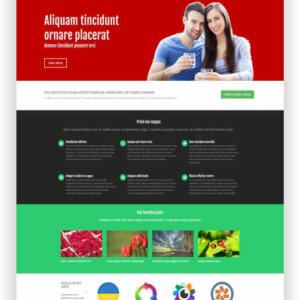 Healthcare is a responsive multipage template. It has most of the required pages for the medical or hospital websites. 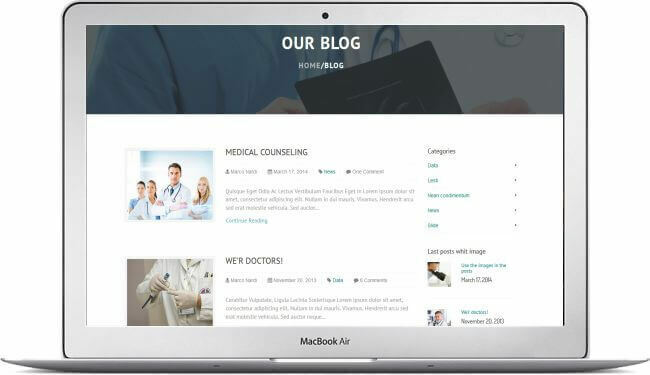 Most of all, it has those awesome features a healthcare medical website templates needed – bio of doctors, online appointment form, a list of services, locations, etc. You can use it as a multipurpose template too – for a medical college, a private hospital, a clinic, for a dentist chamber and much more. You can easily customize healthcare medical hospital responsive templates on your own. You don’t need any coding skills for that. 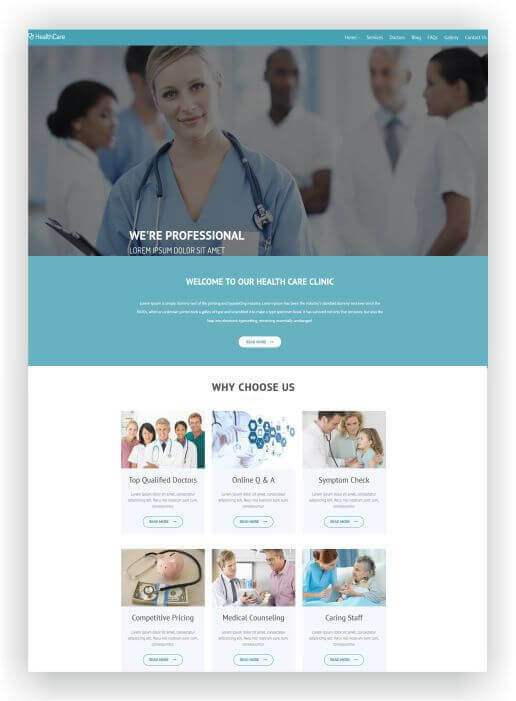 All the sections, pages and elements are well documented in the high-quality HTML5 templates for healthcare medical website template. All you need to replace the images with appropriate sizes, make the changes in the text and add your text and links where necessary. 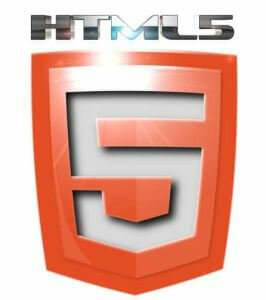 You can modify more things if you have a little bit knowledge of HTML5 and CSS3. Healthcare Medical hospital responsive templates is search engine friendly and it has all the meta tags, titles in the codes. You need to change them with your own keywords and meta tags. 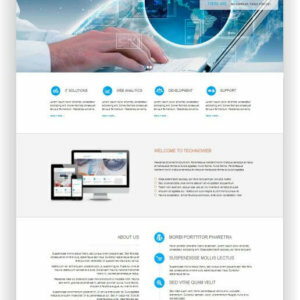 Healthcare template is W3C HTML5 validated, so the search engines will rank well this superb SEO friendly Bootstrap 3 template.